Watchers are claiming that the fringe is moving and shaking its way into becoming a fashion trend for Fall. I say it’s already there. That it’s been a firm fave since even before Spring. Have we forgotten the likes of Josephine Baker and the flapper girl? Hello. Stylemeisters, glamourettes and fashion enthusiasts alike have all been intrigued (read: besotted for some of us) by that decorative border or edging of hanging threads, cords, or strips (insert deep breath) for a while now. What is it about fringes which have captured our attention? Is it their fun, flirt factor? Or could it be that the way they move is a gloriously unapologetic dance of rebellion meets form and function? No matter that there is no discernible rhyme or reason to their appeal, fringe is fabulous, fringe is here to stay. Fringes slapped on clothes or accessories have the magic power of looking trendy, and in-your-face- without being gaudy and, most importantly in my books, versatile. With a shimmy and a shake, they can go from music-festival-style to office-hours-look. And everything in between. Again with that magic power bit because fringes appear to work for all ages and shapes. I mean, look at The Fab 40s line-up. We have different colourings. We’re of different sizes. And whilst we’re all in our 40s, our ages still vary. Here’s Ann of Kremb de la Kremb who never fails to surprise and charm. Presenting the lovely Dawn Lucy of Fashion Should Be Fun whose shoes I covet so. And the glorious Jane of My Midlife Fashion who makes chic look as easy as 1-2-3. 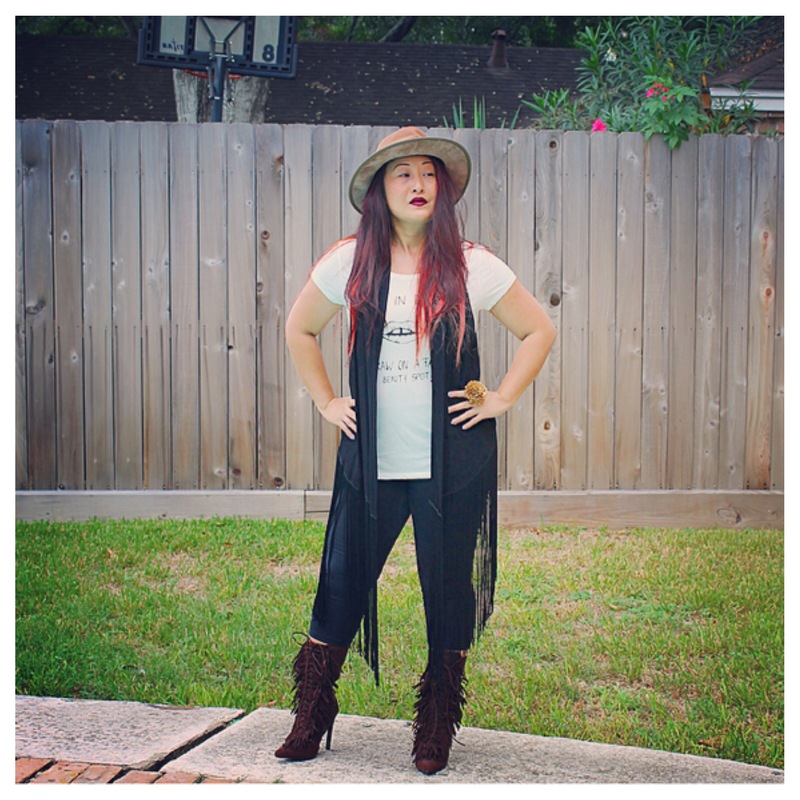 This month, our Guest Blogger is Norbyah of I’m A Norbyah. An avid collecter of vintage pieces and a seasoned thrifter, Norbyah has one of the most eclectic, whimsical wardrobes I’ve seen in a while. Her sartorial sensibilities are fused with colour and print with generous helpings of fun. Quite how fashion should be embraced, yes? Shimmy on, my friends, shimmy on. Your fringe vest is AMAZING!!! You rock the fringe trend, for sure. Thanks for having me along this month….Good to ‘meet’ you. Take care. Oh wow, I stumbled upon your site and have to say none of you even look 40!! Really surprised by that as you all look way younger. I love the fringe and really nice to be able to see it used in so many different styles and ways. Thanks for the great post! Sheela, while the styling is very good–on each of us, it is your writing that has captured me here. Oh! I love how you write. It’s sensational. Seriously. I adore your style, Sheela. Always looks rock-n-roll to me and how fun is that? You ladies did it again, such killer looks! I love the almost all fringe look on you, cute vest. 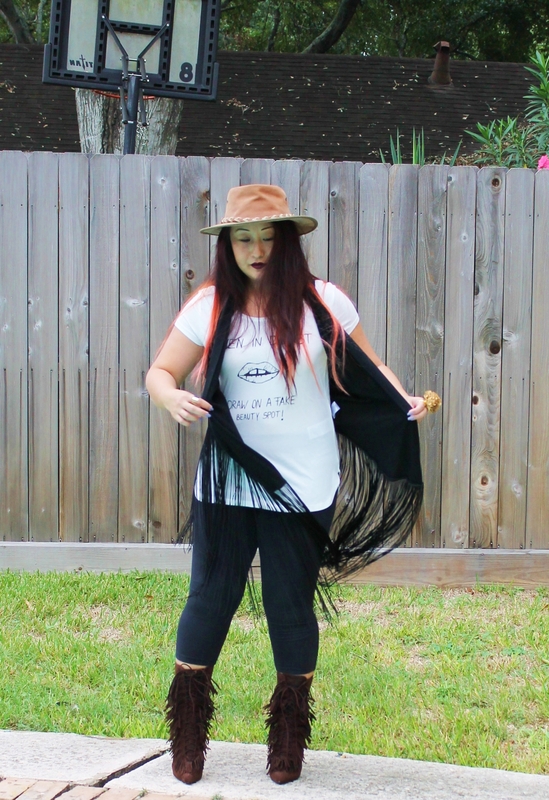 What fun fringe outfits! You really went for it with the vest and booties. Normally I stick to just subtle touches of fringe! I get afraid that my look will start to look like a costume with too much! Oh my goodness those boots!!!!!! Those are so great! Thanks for linking up with me! 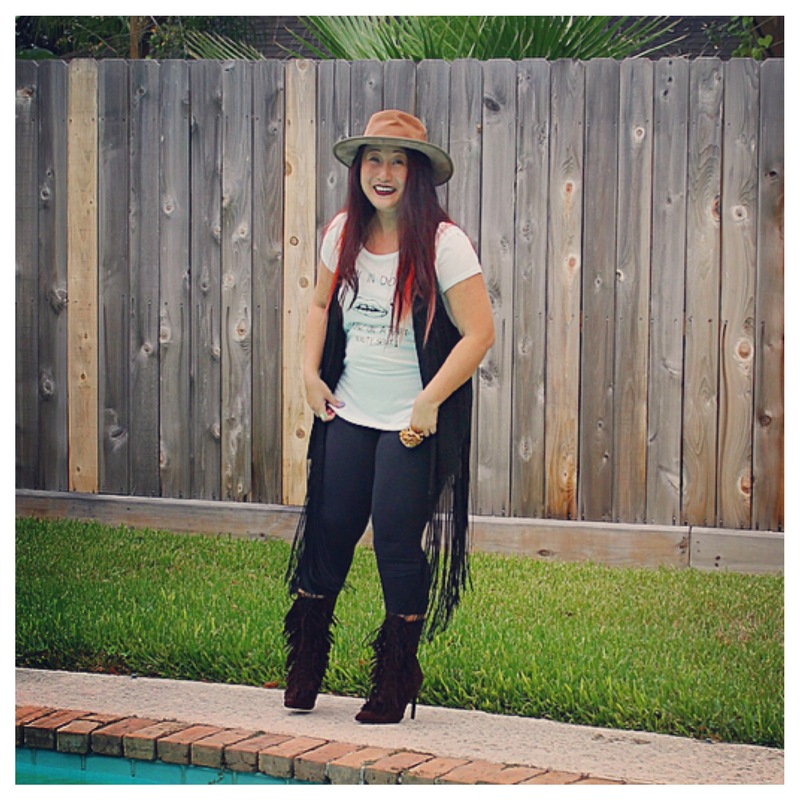 You have some fun pieces of fringe in you closet! 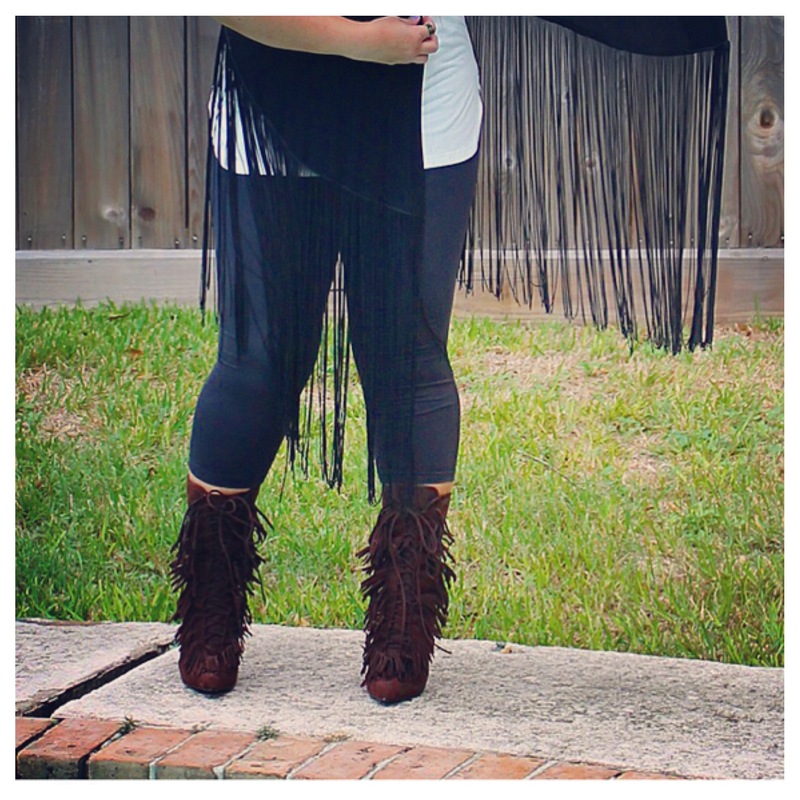 I don’t own much in fringe but have been wanting a pair of fringe booties. 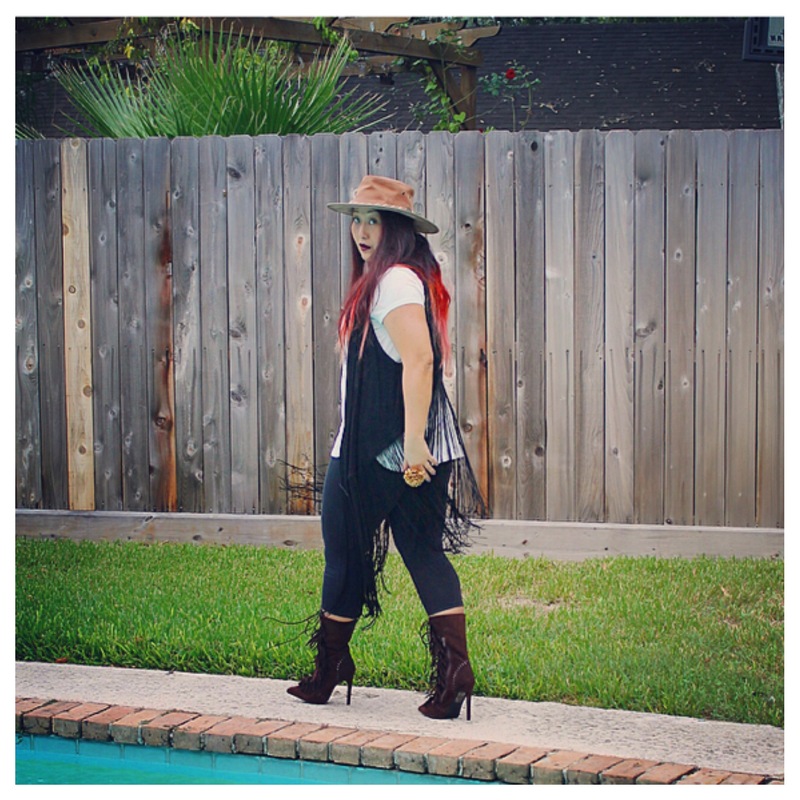 I am loving fringe this fall! You look awesome. 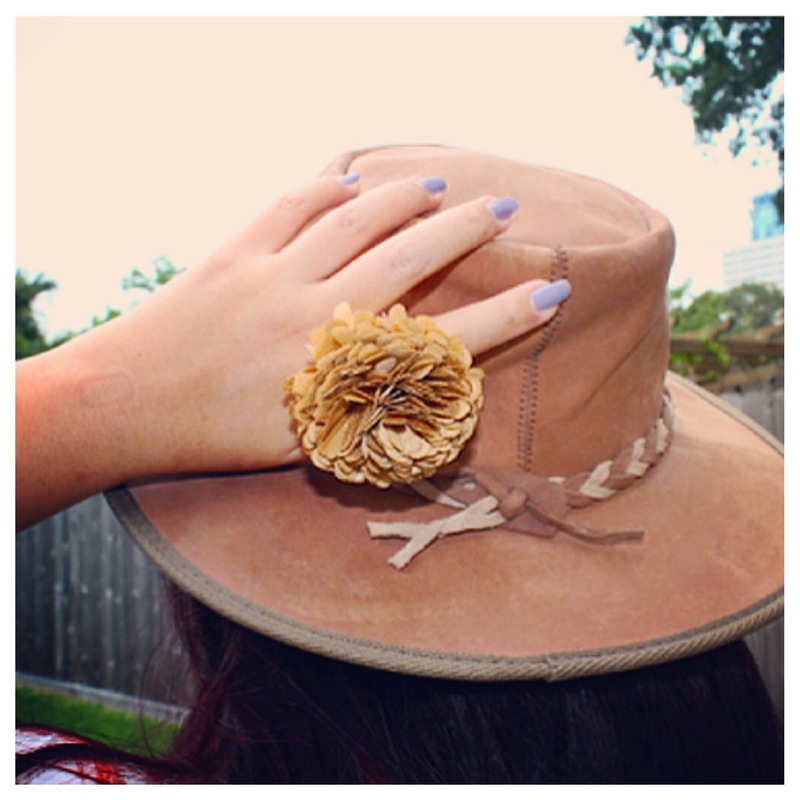 Thanks for linking-up for Lovely Little à la Mode! What a fun vest! 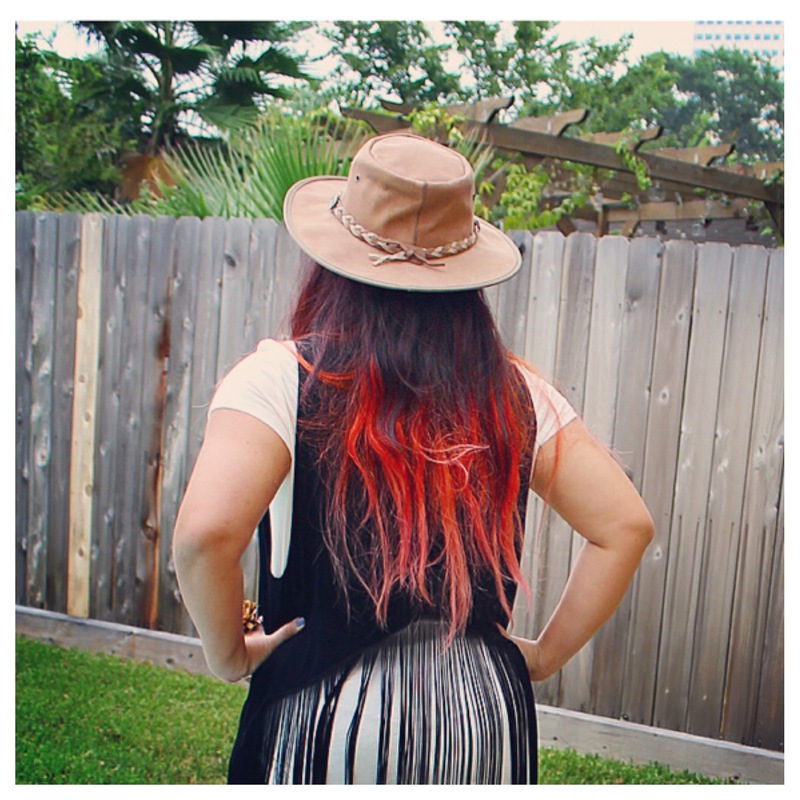 Fringe is definitely in right now and all of you are rockin it! 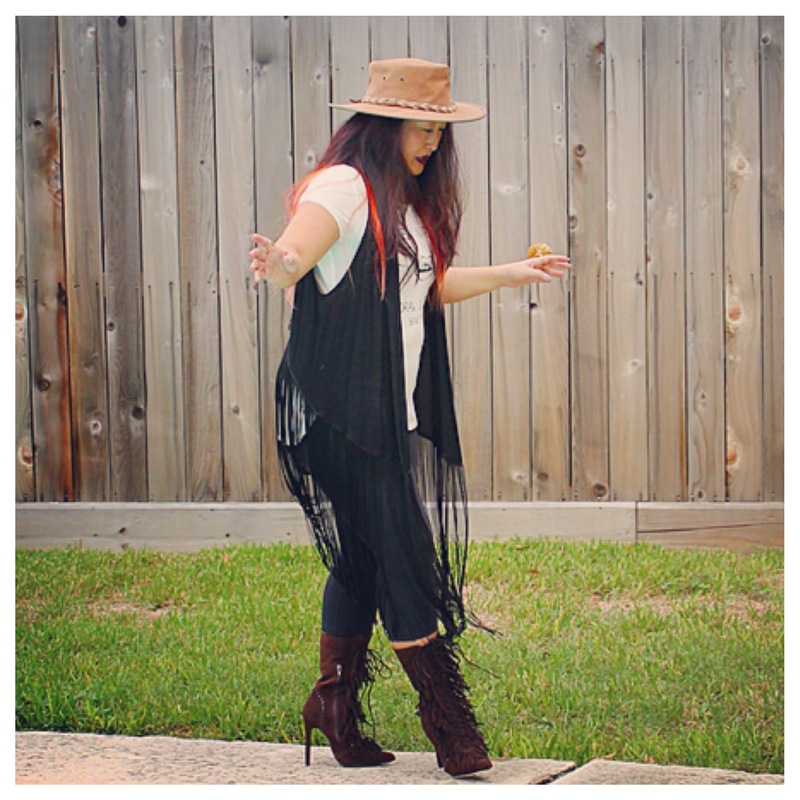 Sheela, your fringed vest is so fab!!! Loving your hair color, too. I am trying to think, but I am pretty sure I do not have anything fringed in my wardrobe. Oh wait, I do have a fringed kimono, but I am pretty sure that is it.